Paul began his career as an apprentice with Torquay United, making the first team debut at the age of 17. The talented winger signed his first contract in July 1990, spending nearly three seasons with the Gulls and helping them to promotion. 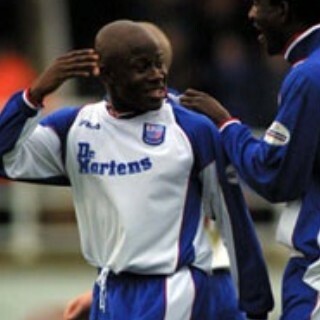 On 25 March 1993, he signed for Portsmouth in a £70,000 move and it was while he was present at Fratton Park, that he was called up to the Jamaica squad by way of his parents nationality, and played in the 1998 World Cup in France. After five seasons with Portsmouth, he made a £300,000 move to Coventry City in August 1998 but following a change of management, he found first team opportunities limited. He went to Bury on a month’s loan in February 1999, and the following season saw loan periods at Sheffield United and West Bromwich Albion. After making just 10 League appearances, he left Coventry in March 2000 for Walsall, initially on an end of season loan, but joining them permanently in the summer. He was released on 10 October 2001 when Brian Talbot brought him to Nene Park joining former Torquay teammate Duane Darby and Scott Partridge. Promotion to the Football League the previous season had left Talbot needing to bring in more quality and depth to the Rushden side and Hall was added along with fellow Jamaican Onandi Lowe although he could play as a striker, it was on the right wing where Hall made his most significant impact. 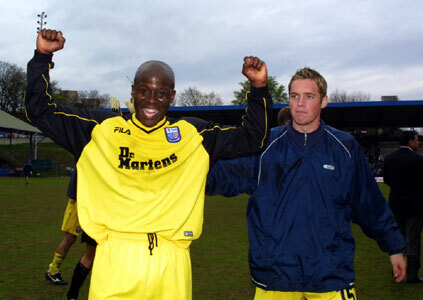 His solo goal in the play-off final defeat in the Millennium Stadium where he rounded four Cheltenham players before lifting the ball over the keeper will be fondly remembered, and Paul’s performances were instrumental in Diamonds promotion the following season when he was joint top scorer with fellow Jamaican Lowe. He went on to score 29 goals in 128 appearances, before financial difficulties in March 2004 saw him leave for Tranmere Rovers. 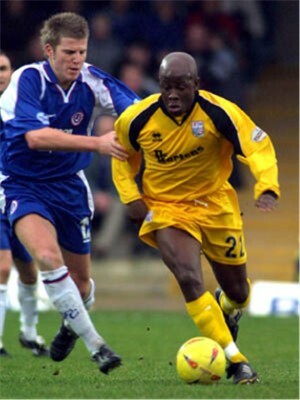 In the summer of 2005, Paul was released and signed for Chesterfield, where he scored 15 times in his two year stay. He was released again at the end of the 2006/07 season, returning to Walsall. In January 2008, he went out on loan to Wrexham, but an ankle injury in his first game saw him return to Walsall. In July 2008, he joined Newport County in the Conference South, but his contract was cancelled by mutual consent in October after just 13 games. He joined Stratford Town of the Aspire Midland Football Alliance in November 2008, where he took on the role of player/coach, before taking on the role of Youth Team manager at Conference side Mansfield Town. The Stags however disbanded their youth set up after funding from the FA ceased. On 1 October 2010, Paul joined Northern Premier League Division One South side Spalding United. In November 2010 he was appointed as assistant manager at Mansfield Town following the departure of David Holdsworth, however, his contract was not renewed at the end of the season and he left in June 2011. After a year out, Paul joined Northern Premier League Premier side Romulus on 11 January 2013 as first team coach. He left at the end of the season, to take up the post of Assistant Manager to Duncan Russell at Northern League Division One side Hucknall Town on 21 May 2013, but following the club’s decision to resign from the League to drop down a further level due to financial problems, he resigned on 17 July 2013 prior to the start of the season. He became Head of development for the Queens Park Rangers U23 side in 2017.